In case you didn’t know, and you shouldn’t, because knowing this would be weird: July is National Picnic Month! You know, that thing that sounds like a nice, wholesome activity to do with the family but is rarely worth the effort. Picnics and animals go together as well as peanut butter and jelly. The most famous combinations of the two are picnics paired with ants, and picnics paired with bears. Curse you, Yogi, you thieving scum! You’ve sullied the reputation of our national parks for the last time! Dogs also tend to make an appearance at picnics. What’s more wholesome than a hilltop picnic while little Billy cavorts with Sergeant Pupper? One animal that people often forget to expect with picnics is the raccoon. Cute and cuddly, these greedy little things will just walk right up and take your food, thinking it’s owed to them. Well, come on, they look so dang cute eating how could you deny giving them your food? Take, for example, this pouncing procyon in Costa Roca who goes for someone’s bagged lunch? Or this paddle boater in Florida who left her next meal on the front of her ride, ripe for the picking by a hungry critter. Once you’ve gone through the trouble making the food, packing in, herding the family into a car and hauling them an hour or so to the most idyllic locations, don’t forget that you’re dining with nature, and you’d better have packed enough for everyone. Back in September an unnamed man went on vacation from Florida to California (too much sunshine!) and unbeknownst to him a pregnant raccoon gave birth to a litter of babies in his van along the way. Upon arriving in Stinson Beach he found five of the six cubs alive but in critical condition (the sixth died.) He rushed them to a nearby animal hospital, where the living babies made a recovery. Unfortunately, releasing raccoons into the wild is illegal in California! Rather than them having to be put down, however, the nearby Oakland Zoo‘s veterinary hospital was willing to take them for some more long-term care while WildCare seeks either a permanent home for the animals or an opportunity to release them into the wild. Personally, I’ve never liked that zoos don’t consider raccoons “exotic” enough to have in their exhibits. They’re cute, dammit! Put ’em on display! And I’d love to find a petting zoo with raccoons. 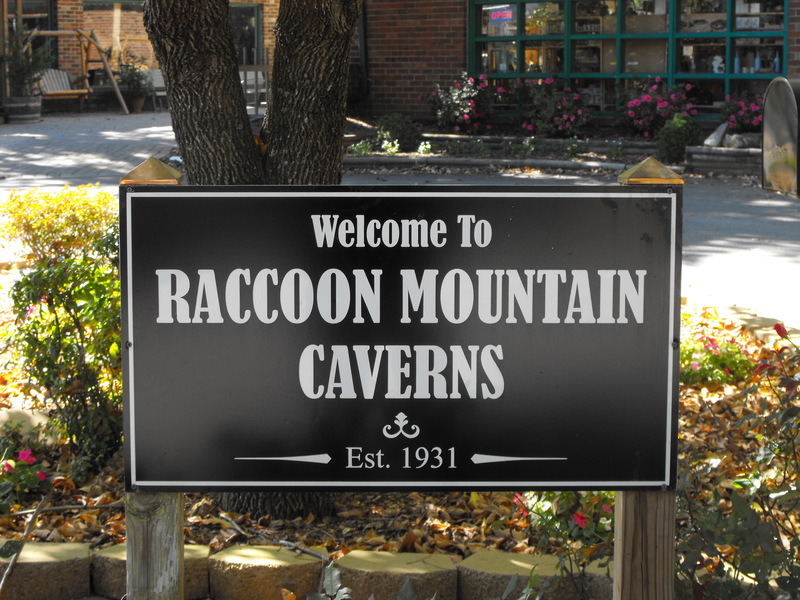 I really want to find a petting zoo with raccoons. It’s funny how a community can rally around the oddest things. Last year, there was Toronto’s silliness around a dead raccoon on a sidewalk. It turns out the people living near the port of Seattle have their own adopted raccoon, a three-legged raccoon that’s hung out out around terminal 66 for the past seven years, affectionately named Tripod. The terminal was renovated last year by Norwegian Cruise Line. There was some concern about what would become of the terminal’s frequent visitor, who often showed up at departures to see off ships or beg for snacks. Tripod hadn’t been seen for a while after the renovations, which only affected the interior of the facility, but fear have been allayed as the critter finally turned up, and was photographed, yesterday. Tripod may be missing a limb, but raccoons are survivors … and they won’t easily move away from a steady food source! RACCOONS IN THE NEWS: Wanna’ Get High? 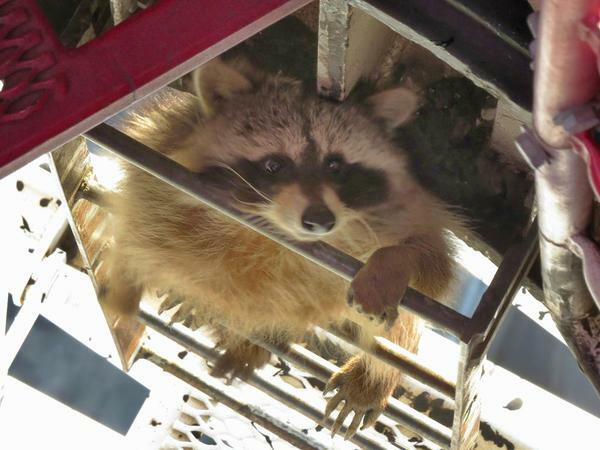 A death-defying raccoon in Toronto, Canada decided to climb up a crane attached to the L7 Condominium tower on Thursday morning, April 16. When the fuzzy interloper got to the top and came face-to-face with the crane’s operator, Rob MacFarlane, at 698 feet (213 meters to you Canadians, or “metres” for the snobby Canadians) he responded in a very 21st century way: he snapped a photo on his phone and tweeted it! Then he shooed it away and the raccoon climbed back down without confrontation … although he claims it hissed at him before descending. Hey, I can’t blame the raccoon for being a little testy. That was probably a lot of work for him or her and then, at the top, some human just tells him/her to go away! What if all those jackasses who climbed mountains for their very own inspirational photo (you know, that cliche arms outstretched “triumph” shtick) were told to go away by some sherpa standing at the top … and then he’d snap a photo a tweet about the jackass he turned away?